Fried, boiled, scrambled, poached, baked or in omelette…there are many different ways of cooking eggs. What are the different methods? In a frying pan, heat up a knob of butter or a teaspoon of oil. Once the butter has melted or the oil is hot, break the egg into the pan without bursting the yolk. Add some salt to the egg white for better coagulation, add pepper all over and cook for 2 or 3 minutes on a low heat. Spread the egg white out with a spatula if you wish. Take off the heat before the white changes colour or blisters. Bring a pan of water to the boil. Carefully place the egg in the water with a slotted spoon or tablespoon. Cover and cook for 3 minutes once it’s boiling again. Remove the egg with a spoon, run some cold water over it then place in an egg cup. Eat straight away: tap the top of the shell with a knife to remove it, add salt and pepper then eat with bread or toast (soldiers) and a teaspoon. Soft-boiled eggs can be prepared in advance and kept in warm water. Boil the water. Once it's boiling, carefully place the egg in the pan with a slotted spoon or tablespoon. Once the water is boiling again, leave the egg for 8 minutes. Then take the egg out with the spoon and cool it under water. To remove the shell, roll the egg over the work surface. The egg should be hard to the touch and the yolk completely cooked. Thickly butter the bottom of a pan and add salt and pepper. Break the eggs in a bowl, lightly beat them with a whisk or spatula and pour them into the pan. Cook them on a very low heat, continuously stirring, until the texture becomes creamy. Continue stirring, off the heat, adding tiny pieces of butter. Break the eggs into a bowl and add salt and pepper. Beat them with a fork or whisk. Melt a bit of butter in a frying pan. When it starts to splutter, pour in the beaten eggs in one go. While they’re cooking, push the outer edges to the centre. Stop cooking when the omelette is to your taste (runny or well cooked). Top or fill with herbs, ham, cheese and whatever else you want. Add a dash of vinegar to some water and bring to the boil gently. Meanwhile, break the egg into a ramekin. Once the water is ready, slide the ramekin quickly into the saucepan. 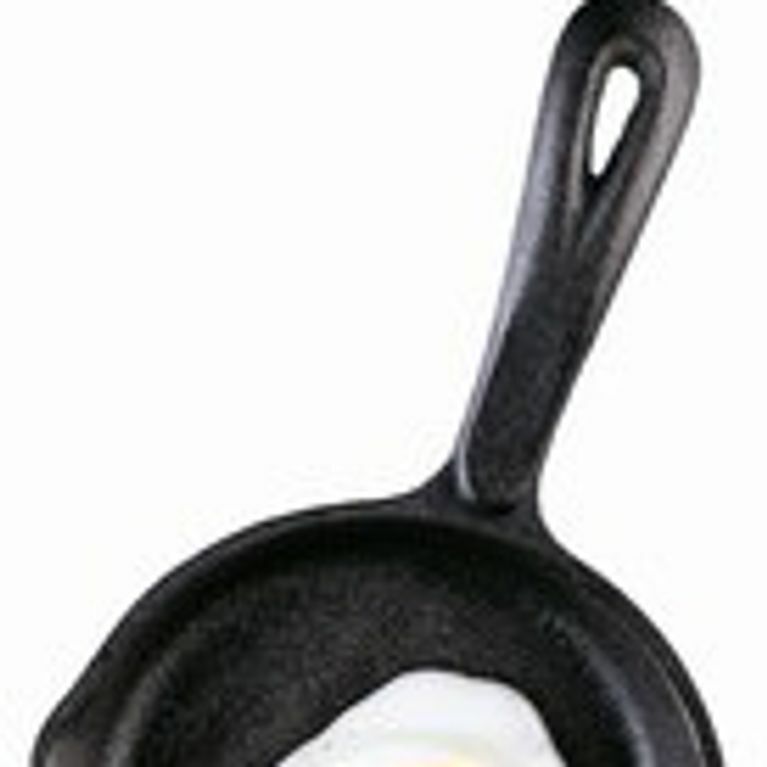 Using a slotted spoon or spatula, baste the yolk with the egg white. The water must not be boiling, to avoid dispersing the egg white in the water. Leave to cook for 2 minutes. Take the egg out of the pan with a slotted spoon and put it in cold water to stop it from cooking. Remove any ragged edges. Preheat oven to 180°C. Butter an ovenproof ramekin, add liquid crème fraiche, salt and pepper and herbs, and break an egg into it without piercing the yolk. Place the ramekin in a dish and add water to the dish, up to halfway up the ramekin. Put in the oven for 10 to 15 minutes. Keep an eye on the eggs and take them out as soon as the white is set and the yolk is still runny. Eat with soldiers. - When cooking with water, add a dash of vinegar to help the egg white coagulate if the shell breaks. - To work out if an egg is fresh or not, put it in a bowl of water. If it floats, it means it was laid at least 6 weeks ago!